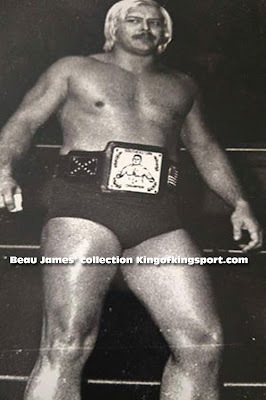 King of Kingsport, Beau James: This week in Tri-Cities Wrestling History Two Attendance Records Were Set. 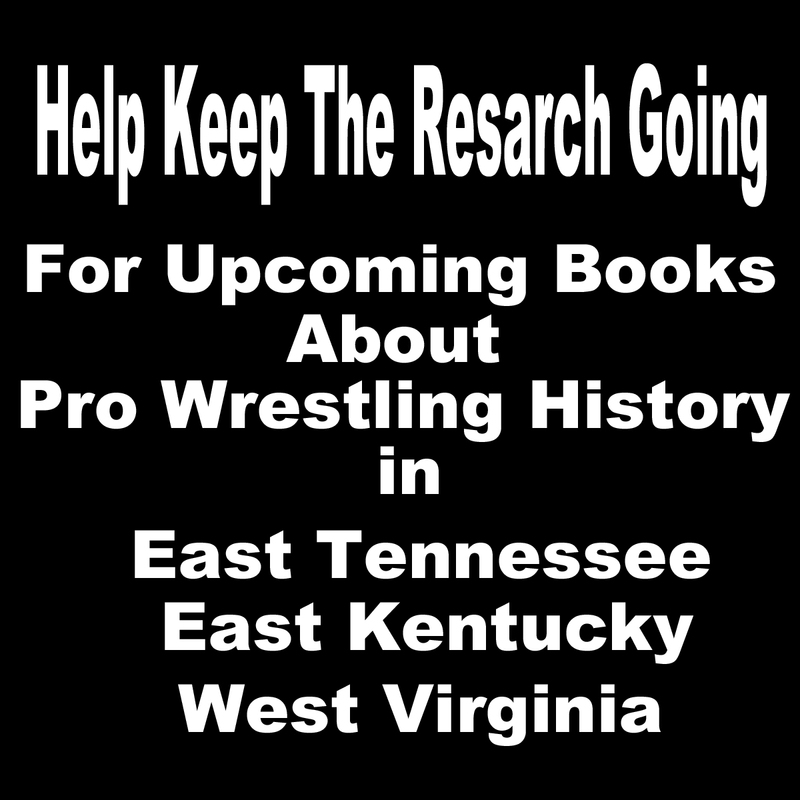 This week in Tri-Cities Wrestling History Two Attendance Records Were Set. July 23 marked the 31st anniversary of the The Great American Bash Event on Johnson Cit's Freedom Hall that set all kinds of records. 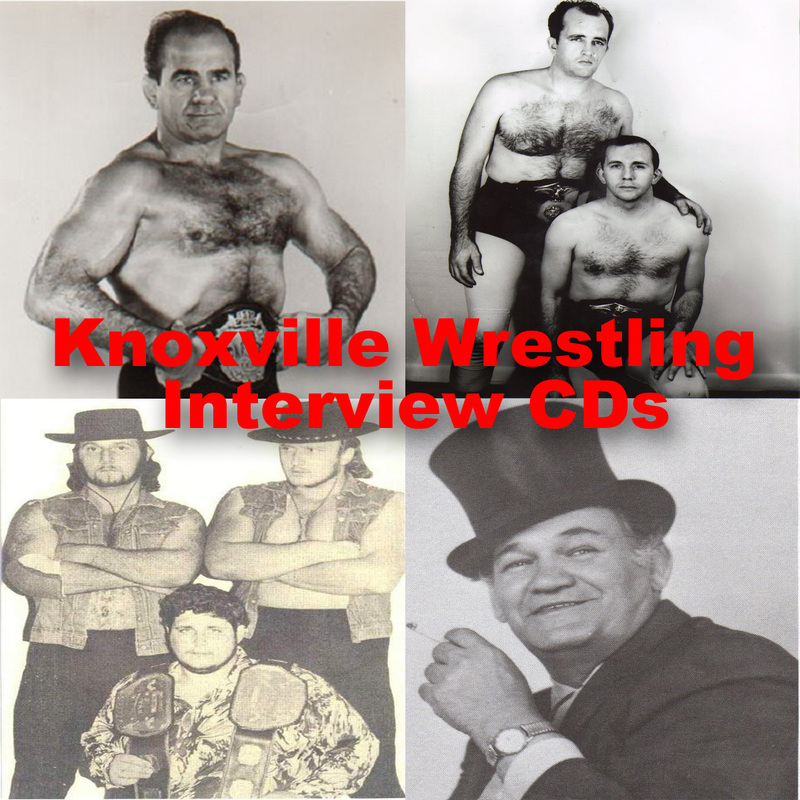 It was The record gate for the Crockett era in the Tri-Cities. The attendance was 6,300+ inside over 2,000 turned away. 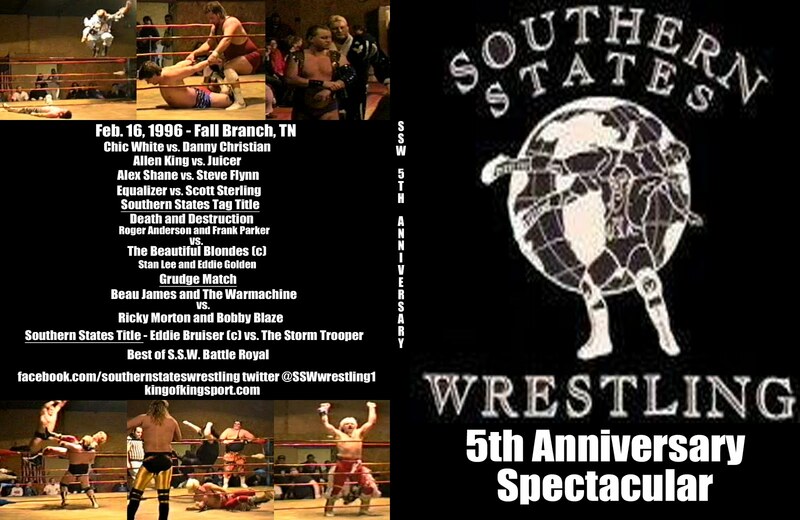 The only wrestling event in the Tri-Cities history to sell out in advance. The only time I can ever remember seeing ticket scalpers at a wrestling event here. 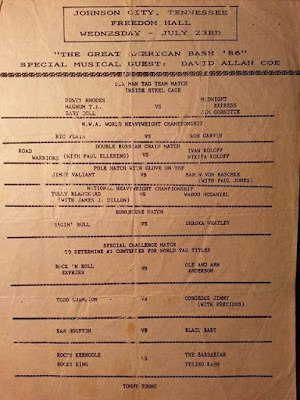 It was and is to this day the all time attendance for wrestling in Johnson City. 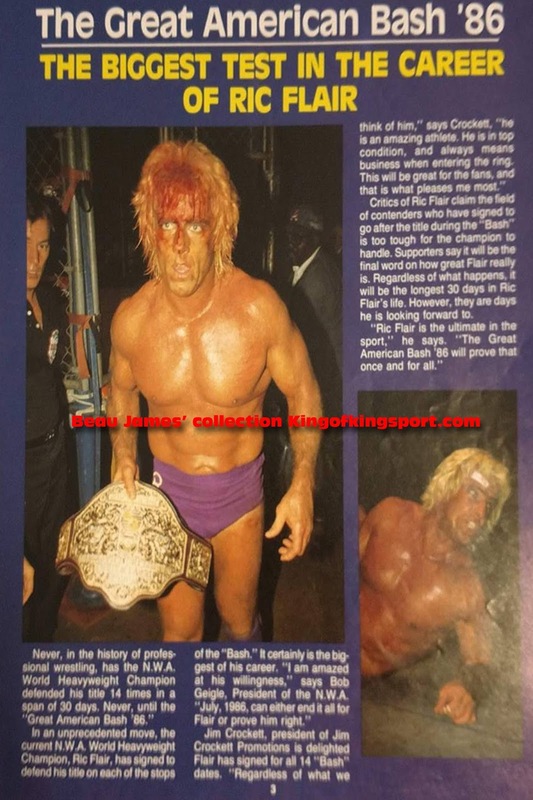 WCW and WWE had sellouts later with higher ticket prices but less people due to fire codes being enforced. The card was stacked with every match featuring TV stars well known in this region. All but two matches had TV time and some kind of build up going into them. 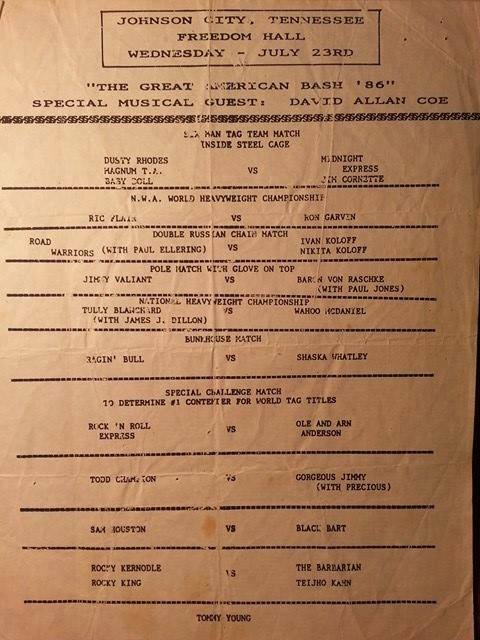 These were the same Main Events that were headlining major arenas and football stadiums. 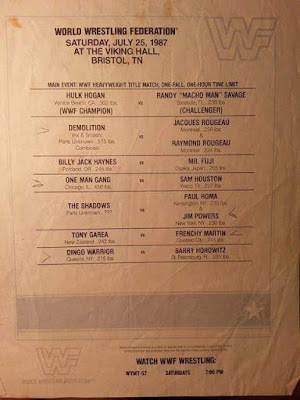 Freedom Hall was selling out in 86 with one or two Main Events. I think this card was our reward for that fact. The Main Event of the night was a Six Person Tag Match that was one of the bloodiest matches I have ever seen and that covers a lot of ground. It was build on The Revenge Factor. As valet Babydoll and her team of Magnum and The Dream were out to get even with Jim Cornette and his Midnight Express of Bobby Eaton and Dennis Condrey. The video above shows the incident that started this run. 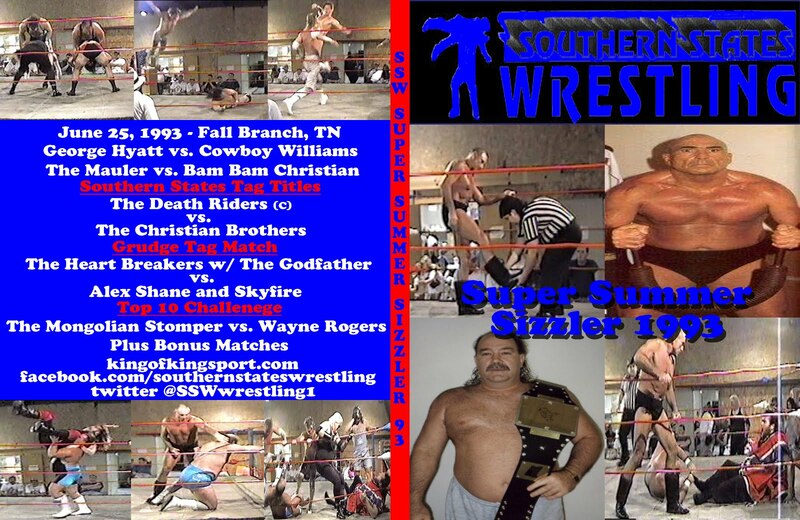 The is no doubt in my mind that The Midnight Express was the best team any where in the World in 1986. Dusty and Magnum were over like Rock Stars to the Crockett audience and so was Babydoll. She was Mid Atlantic's first female valet and when Dusty came to her aid she was accepted by the people. The fans were emotionally involved in this and want to see her beat up Cornette. Jimmy and not only physically attacked her but for months he was on all of Crockett's TVs making fun of her with his verbal attacks as only Jim can. The fans knew it was not going to be Funk vs. Brisco they just want to see Cornette get his. Americas team and The Express gave us a bloody fight with all four pouring buckets. The extent of Babydoll vs. Cornette was her punching him one time and getting the pin. 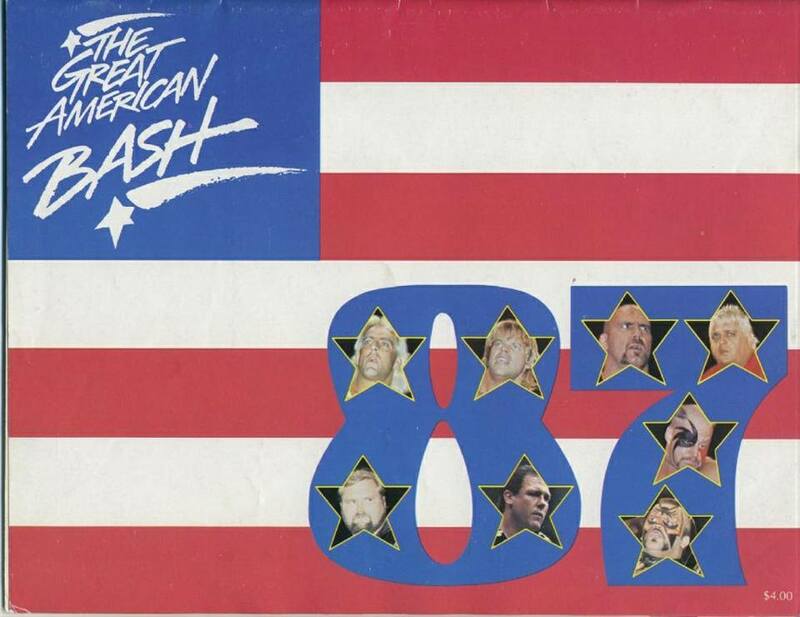 The entire Bash Tour was built around NWA World Champion "Natureboy" Ric Flair defending his title each night vs. a different challenger. Booker Dusty Rhodes put the perfect man to face the Champ in Johnson City with "The Hands of Stone" Ronnie Garvin. Garvin is, was ,and as long as my generation is alive will be one of the biggest stars East Tennessee knew. Garvin then known as "The One Man Gang" had headlined cards in Johnson City from 1975- 82. 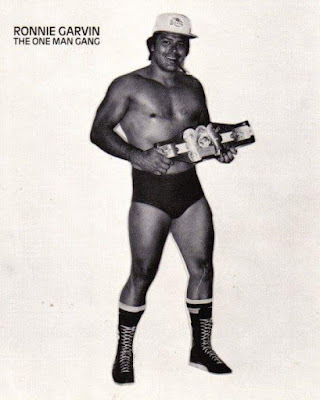 His feuds with Ron Fuller, Joe LeDuc, The Mongolian Stomper, and Randy Savage made him a Legend in these parts. Once again fans were emotionally connected to him and wanted to see him win the World Title right here in his adopted home area of many years. The match nearly 45 minutes with Flair getting the win with help from J.J. Dillion. 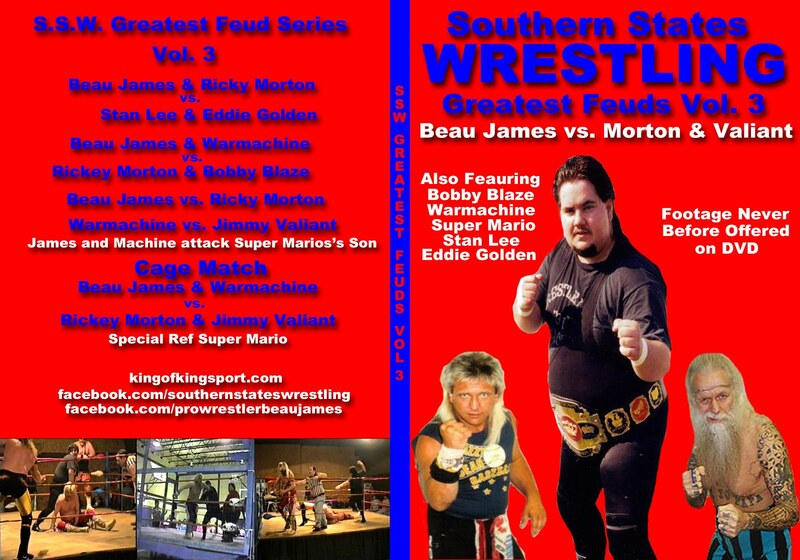 If you would have told 12 year old Beau James he would become friends with not only Ronnie Garvin but several others on this card just a few years later I don't know what I would have said. I have a few week ends on the road with Garvin earlier this year. This weekend I will be on the road with Valiant and The Rock n Roll Express in Virginia. 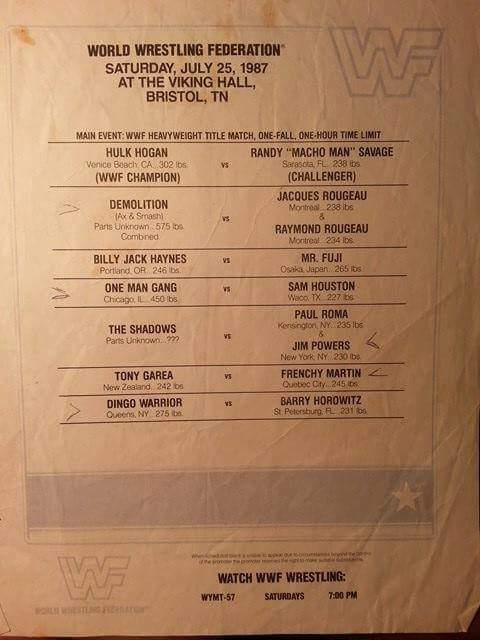 The rest of the card as did the top two delivered and as I look back at it 31 years later it would stand today and anywhere else in time as a great card. Johnson City would continue to get great cards from Crockett all the way up until he was bought out by Ted Turner. Johnson City other than a run of awful house in 1989 would stay a great market for WCW until they closed in 2001. The Bash Tour would also continue to make stops in Johnson City for years to come. I missed the 1987 Bash in Johnson City because it came just days before the Bash in Charlotte which my Dad took me to for my 13th birthday. It's not everyday that you are part of a history making record crowd but a year and two days later my Dad, uncle Odell and myself found ourselves apart of another Tri-Cities record. Today marks 30 years for The WWF's first event in the Tri-Cities. This is the all-time attendance record for Bristol. Every seat in Viking Hall was full. They even had bleachers and chairs on the stage that were also full. Plus standing room only around the first level of Viking Hall was full. This was the first of only two sell outs for them here in this era. They had crowds as small as 350 range (WWF Debut at Freedom Hall) here in the 80s. 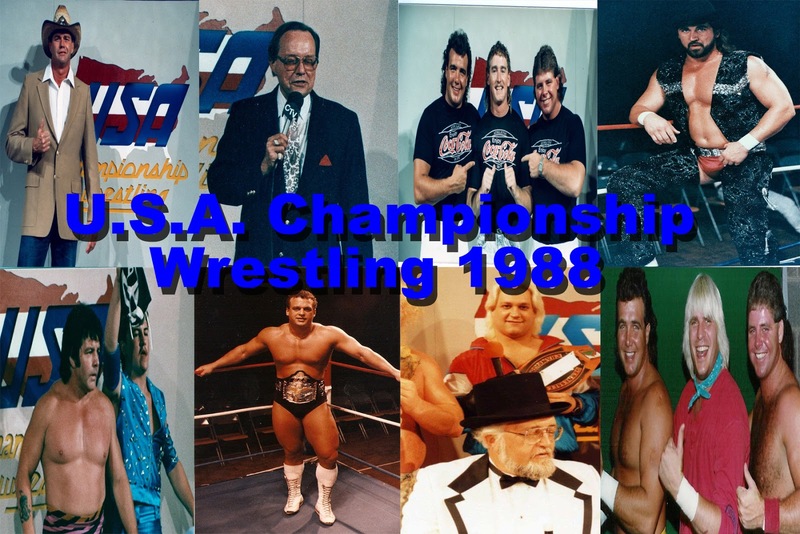 The atmosphere for this event was very different than the events being ran in this market by Crockett Promotions or Continental Wrestling. The crowd didn't know some of the wrestlers. 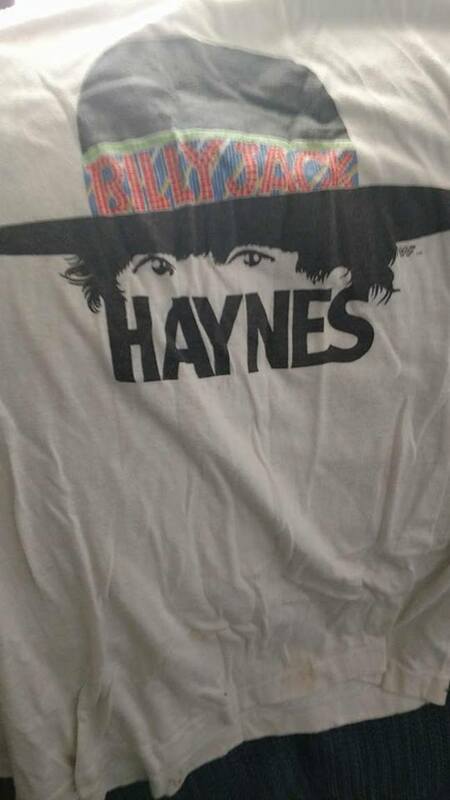 This was definitely Crockett country in 1987. Hogan vs Savage was definitely the draw. It was a homecoming for the two who had both wrestled here weekly earlier in their careers. 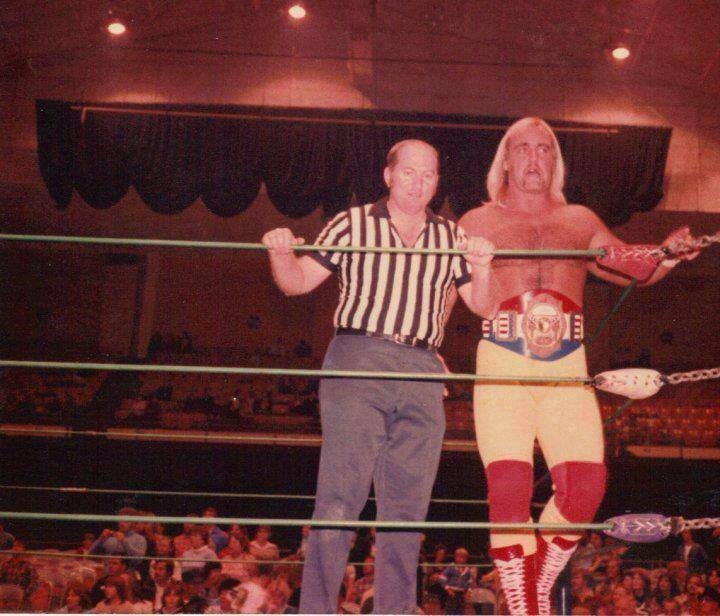 Hogan for Southeastern and Savage for ICW. I went to this event for two reasons. 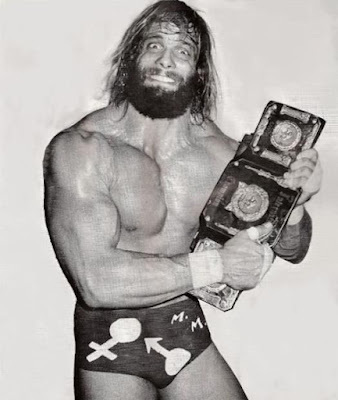 One to see Randy Savage beat Hulk Hogan and two to see Billy Jack Haynes. I was a fan of Billy Jack from the magazines and his short stint for Crockett. Haynes was a no show. 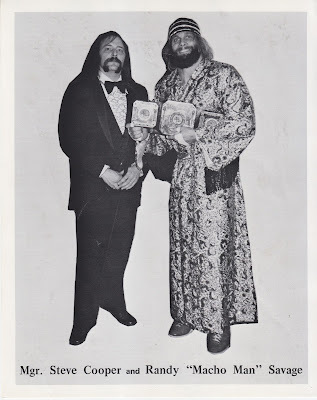 The wrestlers with the most reaction on the under card were the One Man Gang and Sam Houston. Gang had wrestled here for ICW and Mid Atlantic. Sam wrestled for Crockett from 1984-late 86. 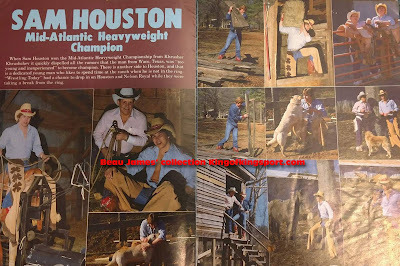 Houston was the only wrestler to be on the all-time record attendance for Johnson City (July 23, 1986) and Bristol (July 25, 187). The only other sell out for WWF in the Tri-Cities Market in the 80s was a TV taping. By the time they got to the dark match Main Event of Hogan and Bigelow vs. DiBiase and Andre a third to half of the audience had left. I did not go to this event. I was not a fan of WWF TV and did not want to sit through a marathon taping. WWF (E) would not have another sell out in this market for almost 20 years. That sell out did not have seats and bleachers on the stage. The ticket prices in early 2000s were much higher than 1987.